The Transport Workers Union Local 514 and area Labor supporters will be rallying, Please make time to participate in this event. All Members that Participate! Be on your OWN TIME, Please participate before or after your shift. We will be across from the Wheel & Brake Center at the old Ford lot, we will be on the southeast corner of Sheridan & Apache by the APU Shop. 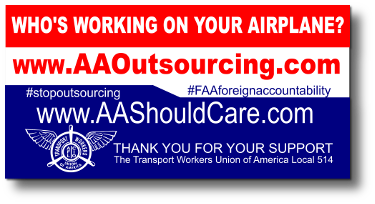 We will be on the side walk outside of the front gate at the American Airlines Maintenance Base and we will be at the Arrivals area by the statues at the Tulsa Airport. We will meet at 5:30AM at the Union Hall the morning of the 17th of April. We will load up the Coach bus with some signs and members to go to Airport and we can also use the coach at this time to drive some to the other rally points as the van driver gets some members to the APU, Wheel&Bra ke and AA Maintenance. 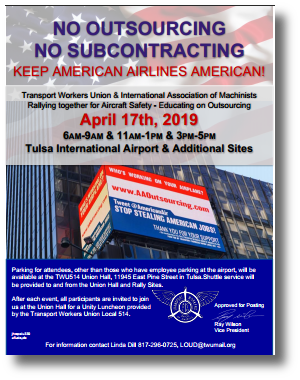 Parking for attendees, other than those who have employee parking at the airport, will be available at the TWU514 Union Hall, 11945 East Pine Street in Tulsa. Shuttle service will be provided to and from the Union Hall and Rally Sites. 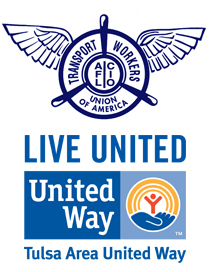 After each event, all participants are invited to join us at the Union Hall for a Unity Luncheon provided by the Transport Workers Union Local 514. We need to go over briefly but most importantly, safety first out picketing. 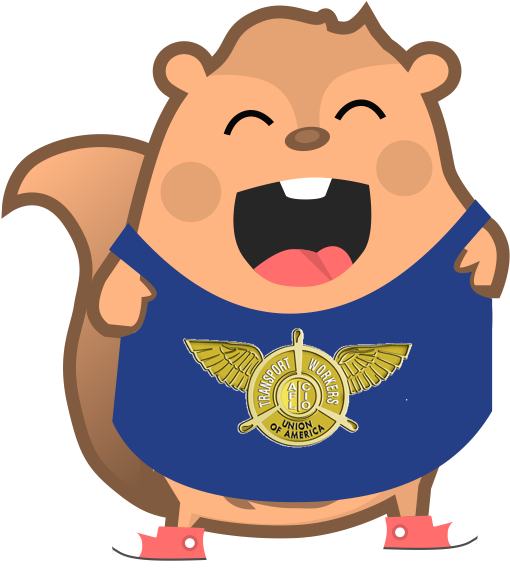 Will go over a few rules and also will discuss the Officers (marshals) and what that means at the spots we will be located……..thanks!